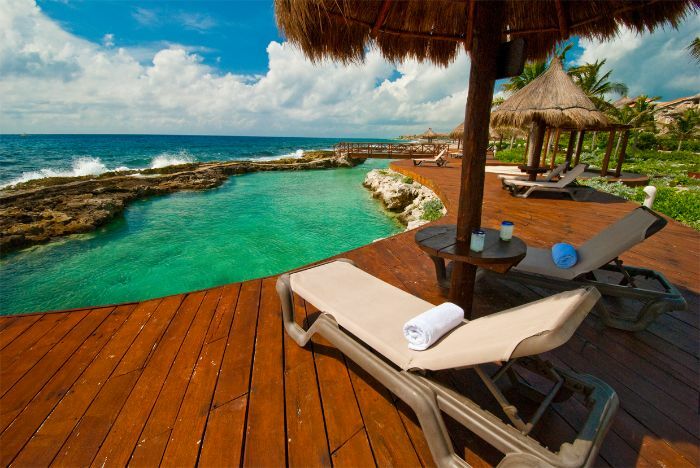 continue doing so as the demand for first class Real Estate in this private development continues to grow fast.The entire list with properties for sale in Puerto Aventuras you can find here. You find homes and condos for sale at the marina and the golf course, but today in particular we would focus on a beautiful and very well priced 2 bedroom condo right at the beach! Located in one of the most exclusive Development of Puerto Aventuras, you can enjoy beachfront property, huge common areas with palm trees and several pools, build on almost 5 acres, the commercial marina with all the shops and restaurants and the dolphin center is close by, 24/7 security, great rental income, golf playing and even rent a spot for your boat if you like. The apartment itself is elegantly furnished, offers an open floor plan on 1800 sqft, has a spacious balcony with jacuzzi tub, fine marble works in the interior in bathrooms and entire flooring, high end kitchen amenities and the best part of it, the price is only 385,000 USD!!! For more detailed info on this great deal and see pictures of the property, just click here. Dont forget to visit our Real Estate News Playa del Carmen Website and find us on Facebook and Youtube.